Dropshipping – The Ideal Business Model? It sounds like paradise – no investment needed, thousands of products to sell, no dealing with order processing – all you have to do is collect the profit while drinking Pina Colada on an exotic palm beach in the Pacific Ocean. I wish that was true! I wish it was at least half true. But it isn’t. Dropshipping is publicly made to look much better than it really is. This is mostly due to savvy marketers who know exactly how to sell the dream of a hassle free eCommerce business to the masses. Very often, people new to the world of online selling start with the intention of using dropshippers as their source of products. We see such posts on TWF on a daily basis – have no experience, have no money to invest in stock etc. but will start an online shop selling designer clothing/mobile phones and gadgets using dropshippers. Unfortunately that is the classic mind-set of many newbie sellers. Prices. You’ll never get the same prices from dropshippers that you would from manufacturers or even true wholesalers. Most so called dropshippers sell on eBay themselves as well so you’ll essentially be competing with your own supplier for a limited group of buyers. Stock Variety. If you do find a good dropshipper you can use, you’re fixed to the product range they offer and can’t expand on it yourself. This also means that an item that you sell very well could be suddenly discontinued, and you have NO control over this. This also means that you, and several hundred other people, will be selling the exact same line of products at pretty much the exact same prices which just creates a stupidly competitive market for you to work in. Stock Availability. If your dropshipper suddenly runs out of stock, you’re in TROUBLE! On eBay that can lead to negative feedback very fast. Yes, there are some larger dropshippers who will offer you a live XML feed of stock levels, which is good. In fact, I would NEVER deal with a dropshipper who doesn’t provide live stock level updates! Order Miss-Packing. As you’re not processing orders and packing goods yourself, there will be times when mistakes are made – the wrong stuff being sent to the wrong people and so on. You could of course make such mistakes on your own too but at least then you can blame yourself for being inaccurate. 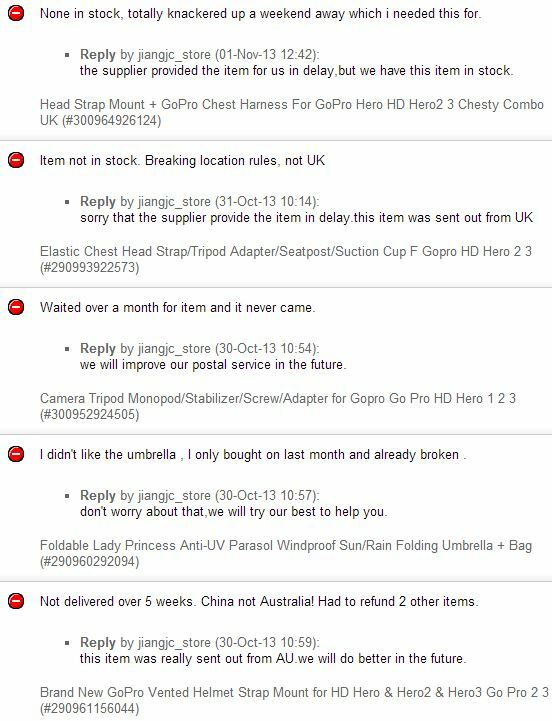 When you use a dropshipping company, this is again something you can’t control and this creates even more stress for you. Shipping Delays. When you store products in your warehouse (or bedroom) you can then dispatch items incredibly quickly… anything ordered by 4PM can be shipped out the same day for next day delivery which results in a phenomenal customer experience and glowing feedback. With a dropshipping company, you again have no direct control over this. VAT and Import Duty. If you deal with a dropshipping company that is sending stuff from abroad, outside the European Union, your customers will have to pay VAT and import duty on goods that exceed a certain value. Now, even if you do explain in your eBay listings that there may be additional taxes to be paid, many people just don’t realise what that entails and will leave bad feedback for you. The prices are probably the biggest problem here as I have yet to see a dropshipper that can match the prices of a large wholesaler, never mind manufacturers. But that’s for a reason of course! Dropshippers have to deal with individual orders and have significantly higher over-heads compared to wholesalers, where you just buy in bulk cases. Here’s another thing – in the USA, dropshipping actually works quite well as there are thousands upon thousands of dropshipping companies covering every niche you can think of. In the States they know this business concept very well and have a good range of reliable, advanced dropshippers who can be used for eBay and eCommerce shops. The problem is with the UK and Europe – dropshipping is kind of a new concept over here and that’s why we don’t even have any large, well known dropshippers. The only such company I know of is Pixmania. IMPORTANT!!! Beware of so called “dropshipping schemes” being promoted all over the internet. These are companies who offer you the chance to join their dropshipping programs for a one-time or yearly/monthly fee to access their products. STAY AWAY from such websites! In most cases they’re nothing more than scams tricking people and making money out of those sign-up fees. It’s not that a joining fee is necessarily a bad thing – the problem is that these websites claim that you’ll get super low prices on popular items, but when you join, you realise that it was all blatant lies. 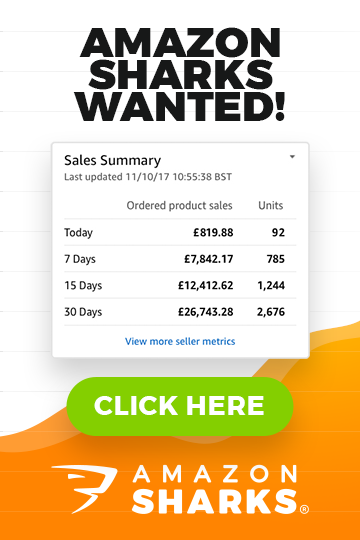 Usually the prices in these dropshipping networks are above the RRP and the product range is very limited! If a supplier can’t show you a price list BEFORE you have to pay a joining fee, then STAY AWAY! These marketers use all kinds of tactics to get you to sign-up, like offering FREE, pre-made, pre-populated online shops (which are complete rubbish) and other such gimmicky nonsense. Don’t fall into this trap and stay away from any such ‘dream come true’ schemes. The only one such LEGIT dropshipping company I know is Doba, based in the US. Yes, they have a membership fee BUT you can get a free trial, check out their prices and product range and THEN make a decision on whether or not you want to pay to join. DOBA is very popular in the US and can be used to stock up an eCommerce Shop or say to add extra product lines to your existing business. In UK, many people also use Amazon as a dropshipping company but it’s not a true dropshipper as you don’t get plain packaging from them – your customers will know the package came from Amazon! With true dropshippers, your customers will never know that you’re using a dropshipping company as all goods will come in plain packages, invoices will have your logo on them and some companies will even offer customised return shipping labels with your company details. I’d say that dropshipping can work if you’re based in the USA or have an online shop targeting the US market. But it’s really not something you want to do in the UK, unless of course you have found that perfect dropshipper who has a solution to all of the disadvantages covered earlier. Dropshipping is also more suitable for an online shop, rather than for eBay. On eBay you’re not in control as buyers can and will leave you negative feedback for messed up orders. If you run your own eCommerce Shop, this is not that big of a problem and you can usually fix it all just by communicating with your customers. Also, if you’re new to eBay, don’t forget that PayPal will hold your money from sales for up to 21 days or until feedback is left by the customer. So it’s not like you can start a dropshipping based business with no money and start making thousands in sales from day one. You can’t as PayPal will hold your money and you’ll still need to pay dropshippers to dispatch the goods. Ok, Andrew – but what do I do if money is tight and dropshipping seems the only way to start an online business? a) If you have next to no money, use this business concept of buying and selling used goods on eBay. This is the easiest way to get started on eBay and make your first few hundred pounds in profit. b) If you have at least a few hundred pounds, go wholesale! Be it a UK, China or USA based wholesale company – start buying something in bulk, at wholesale prices, and build up your capital by re-investing all profits back into stock. c) If you have a few thousand pounds or more, start importing directly from China! It can of course be other countries too but in general, and for most unbranded goods, China will be your best bet as a product sourcing channel. If you’re US based or target US customers, dropshipping can still work for you. IF you can find a good dropshipper in the UK, it can still work for you. But in general, dropshipping is not something I would recommend people try as it simply comes with too many risks and too little advantages. Some wholesalers will also offer dropshipping, even if they don’t advertise it. So if you start working with a wholesaler and over time build a good relationship, at one stage you can ask whether they would be okay with dropshipping for you? Some will agree and this can allow you to quickly expand your stock range without investing large sums of money up-front. This is how I feel about dropshipping. Some people may be huge fans of it, and that’s fine. I have just tried to express my views in this post and hopefully open the eyes of some newbies who think dropshipping is an automatic gold-mine and hassle free way of running an online business. I was wondering if you could let me know or point me in the direction of an article which explains what steps you would take to find and set up a business relationship with a US dropshipping company? From my knowledge in order to be approved by a dropshipping company you have to provide business credentials and figures such as annual revenue, etc. Is this true? And if so, does this make it unsuitable/unattainable for someone looking to start-up ann eBay/amazon store with no prior sales figures and business credentials to attract dropshippers? Maybe some dropshippers ask for that, but definitely NOT the majority. Great article, I’ve learnt a lot. I’m in the process of creating my shopify store on a sop shipping model in multi billion dollar industry in the US. I am based in the U.K. but have managed to source a dropship manufacturer via an online platform (inventory source) that makes the whole process seamless with live feeds (price, stock, product range). Very little micro managing is necessary as this platform updates, send request to supplier etc (for a month fee). So i guess my querstion is does this model sound legitimate through your experience. And what can I do with to accepts payment from a foreign customer when send payment to supplier without incurring high exhance rates- as I am based in the UK. Yes, this is quite popular in the USA – so no major problems with this concept as long as you know how to get traffic to your shop, which is the hardest part obviously. To minimise currency exchange fees, you should look for a merchant account/card processor that allows you to take payments in USD and withdrawal money in USD to your bank account. You’ll also want to get a multi currency bak account or just specifically USD account where you can receive that money. And if you can pay suppliers with a credit card, get a VISA card associated with that USD bank account. This way you keep your money in dollars all the time and only need to exchange to £ when you want to take some money out of business. Would you say that dropshipping from China (Aliexpress) through my online store would be better to attract the US marketplace or the UK. – Either way shipping times will be as long as each other right? – US market consumer market is larger but more competitive than UK so not sure? That’s a really bad model, sorry. People now expect 1-2 day delivery on online orders – NOT 25 days. I don’t know who would order from a LOCAL site and be ok with Chinese delivery times. They would go to Ali Express directly instead. Plus many more related articles throughout blog archive (click on Start Here page from main menu). 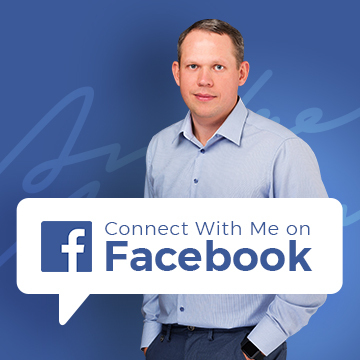 Hi Andrew, I’m looking into starting an e -commerce business to earn some extra money. In the process I’m trying to get as much information as possible, thats how I found your page.I’m getting conflicting information regarding drop shipping. I read your article “drop shipping – the ideal business model?” and you believe its not such a great way of doing business in the UK, however I took a look at your Easy Auction Business plan and you state you use the method. Does there exist a knowledge base in the UK like worldwidebrands.com in the US? Also if I wanted to start a business selling in the US from the UK how could I do that legally without a US merchant account or a US tax ID number? is it possible to operate without one? I’m not a huge fan of dropshipping, especially in the UK, no BUT I do cover it in my EAB course so that people know what’s out there. It’s not the main business concept in that course though, as I strongly believe that other options, like importing from China, are far more profitable. No, as far as I know there are nothing similar to WWB in the UK. You can operate the business from UK, with a UK merchant account/PayPal. great article. I was wondering if you still stand by your views that drop shipping works best in USA and it’s much harder to do in UK and you don’t recommend it? The reason I’m asking is that I was looking into opening an e-shop for the UK market (I lived there for years), but as you say, I didn’t find many drop shippers in the niche I’m interested in (wellness). Do you think I should concentrate on USA and forget about UK? Yes, my thoughts haven’t changed on this one, nope. Nice article, i have a question about bigbuy for dropshipping. Do you know about them or have you some experienced with these site, are they good. No, sorry, haven’t heard of them. Hey, nice article, is drop shipping still in the minority in Europe? I have a few hundred Euros to invest in wholesale or dropshipping to get my business off the ground? I’m still not sure which way to go? There is a new company called ecopresto based in France who dropship. Dropshipping is a very old concept. I read somewhere that IKEAs founder used the dropship fulfilment in the early days when they were getting started. Personally I think dropshipping does work, but it’s hard work. Don’t expect it to be easy as its touted by those internet marketers. The best way to find suppliers who do this is by picking up the phone cold-calling them and asking if they would be willing to dropship. i currently live in Australia, but i have have a UK bank account and paypal account. Can i still start a drop shipping business targeting USA with DOBA? You should contact Doba and ask them whatever they’re ok with this. We dropship directly from the manufacturer, cutting out all middle men and maximising profit margins. Good communication with the client and supplier is the key to the business. Great to hear that Mitchel! Yes, drop shipping can still work, especially if you work directly with manufacturers. For example health/nutrition market where drop shipping is very popular. Hi Andrew, do you know of a health/nutrition drop shipping company in the UK please? Whole foods? I would be soooo interested in that! I know that they have a wholesale program and maybe they also do dropshipping. How good can they be if they don’t reply to your emails? You say that Doba is good in the States , but there is one in the UK that is similar called droptec. They let you see all the products and prices before for free. Have you experienced these guys and are they any good? I haven’t heard about this company but will check them out and probably do a full review on my blog too. I do have a question, How can one drop ship either on amazon/ebay UK or USA while his physical location is in Africa. I have spent the last free months earning online through various services and I believe I can sell from here in africa. What i am not sure is the T&C. I have contacts in China, and if I can list items on these mega sites, I can make a good living from it, but so far to register I need local address. How can one go about it?. To make this work, you’ll need a bank account in UK, and a UK address. Then you can possibly do this. I did notice that I had some serious competition on eBay from sellers who were clearly using the same method (going by the image & descriptions used, some images in the listing were actually embedded from the Amazon UK website), When I first heard of Amazon’s delivery rate change, I checked my competitors prices on eBay and noticed that they still had the same prices set for a few days at least,. and I bet they lost a few £s on sales made, or received some negative feedbacks for non-receipts. I used the free month’s trial on Amazon prime to get free delivery and continued dropshipping for another few weeks before stopping, as it’s against Amazon Prime’s T&Cs to send countless items out as gifts, and they will ban your Prime account if they find you doing so. If that doesn’t help you improve your bottom line, simply stay away from items below £10. Have you ever had experience of people using Costco UK as a drop shipping company by ordering off their online stores? No, sorry – I haven’t done that. Have done it from Amazon though. I would like to thank you a lot for this post. It is realy an eye opener for many newbies inclusive my self. 1) But are you sure that Paypal will hold the money from sales for up to 21 days? That means Dropshipping is no more allowed on ebay? 2) You said that in the USA, dropshipping actually works quite well. Is this also the situation in canada? I mean can I use american dropshippers for the canada market ? 3) How are people using amazon (in the UK) as a dropshipper wenn the amazon prices are the same as ebay if not more? Can you explain that? 1) PayPal does this only for newly registered accounts. Dropshipping concept actually has never been allowed officially by eBay, it’s all grey area. 2) Yes, it’s similar in Canada and many US dropshippers will ship to Canada too. 3) Amazon prices actually on many products are cheaper than on eBay, especially when they run special promotions and sales (+it comes with free delivery).